How To Optimize Website For Voice Search? HomeSEOHow To Optimize Website For Voice Search? Optimize Website for Voice Search: Whenever we want to search for something on Google, we have two options available, either type the keywords and wait for the results to appear, or "dictate" the keywords to the search engine. The second variant is faster and simpler, we use natural language, and response times are much better than classical keyboards. 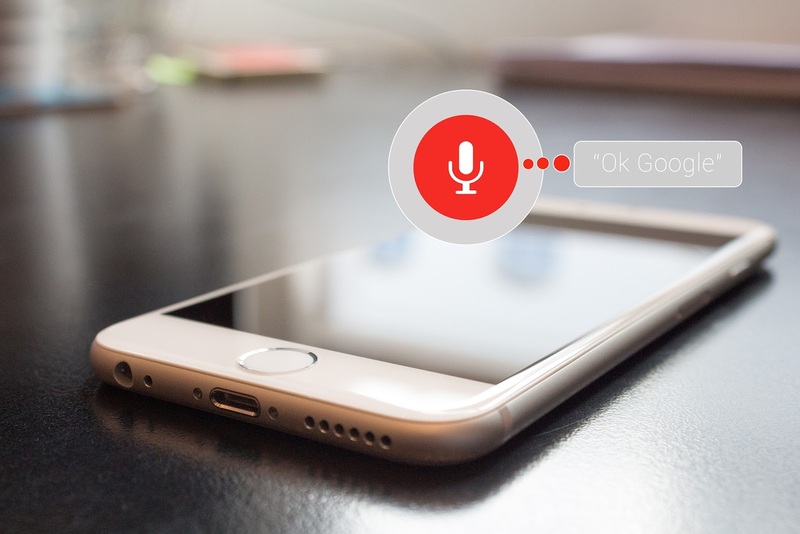 Introducing keywords into the search engine through its own voice is possible through a modern technology developed by Google called Voice Search. Voice Search or Search by Voice is the feature that lets users search for anything they want just by saying keywords, whether they're on their mobile phone or laptop computer. Voice Action, as it was called in the beginning, was available on Android phones and recognized only American words. After which it could also recognize the British, French, Italian, German and Spanish ones. Since August 2014, users have been able to choose from five languages, the associated application already understood the language used and quickly identified it - now there are over 70-80 recognized languages. 2011 came with Voice Search announcement and Google.com, the feature being available only in Google Chrome. Practically Voice Search describes voice searches using microphone. All searches are made by the intervention of a voice assistant, Siri, Google Home or Cortana, Alexa and things are greatly simplified. Hence it is high time to Optimize Website for Voice Search. How To Optimise Website For Voice Search? In the beginning Google Voice Search was not so sophisticated and part of Google Labs. The first was officially introduced in 2010. The users formed a phone number, the system number behind the function, after which they waited for the words Say your Search Keywords and only then said the keywords. It was a kind of customized but very modern vocabulary for that time. Most of today's Google products have integrated this feature indifferent forms, we have Voice Search in Maps, iOS apps, YouTube, or countless variations of developed products. Voice Search has begun to be important for SEO after the major update of Google's algorithms that came with the Hummingbird Update. Hummingbird changed everything we knew about Google's algorithms, the central element of change being to emphasize the importance of semantic searches and returns as close as possible to what users want. With this update, Google tried to make it easier and clearer for users to intent when they use certain keywords in order to give them a more enjoyable and relevant experience. The company has continued with the development of the RankBrain machine learning system, a very complex system that has improved the results of each search. According to recent data released by Mind Meld, a startup in San Francisco, many users have started to use Voice Search regularly for a while, while only 42% of users using Voice Search have used the function for the first time in the last six months. This tells a lot about the importance of integrating this feature into SEO strategy, not just for better traffic on the site, but for the most efficient and complete experience offered to each user or client. By 2020 Voice Search has bet that half of the searches made globally will be voiced. In this context, site administrators and site owners need to prepare for better integration of the site and for SEO optimization that also takes into account its potential. Sites must load quickly, have a good bounce rate. It is good to know that half of the voice searches are made on the mobile at the moment, maybe even while driving. Featured snippets are important, integrate them into the layout of the site, and optimize their content. Why are they important? Because they answer shopping questions about certain actions that a customer can do. Questions can be found easily through long-tail keywords, answers are given in the content of the site, they must be concise, written intelligently, clean, provide the information that users need. FAQs and quick answers to the mare required to have a site optimized for Voice Search. When Google uses site information in the Featured Snippet, it always shows where it got the information. Here's the organic traffic on that site. Because the brand name will be "spoken" via Voice Search, it's good to be easy to pronounce, to hear, to listen. More than 97% of users search on Google and read reviews about local businesses. The bad thing is that users are not looking for information about the local x business, but about the best in the area. Directories and review sites are important from this point of view. It's important to have a well-thought-out and efficient Google My Business listing - with photos, positive reviews, and owner responses. Other ways to optimize at this level include building online reviews and using structured data markup. It is easier to talk than to write, people speak 150 words and write about 40 in a given time interval so pay close attention to voice search. It is important to understand how people talk and adapt the content of the tone used in everyday life. Hope that you may have found this article on "How to Optimize Website for Voice Search?" to be useful. If you did, don't forget to share it with your loved ones. If you have any query or tips regarding our Content don't hesitate to leave a comment or Contact Us.